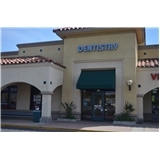 James Baik, DDS at Santee Dental Group (Santee) - Book Appointment Online! Dr. Baik highly emphasizes individual attention to each patient by taking time and listening to a patient. He believes the optimum result of treatment come from the effective communication and trust between a doctor and a patient. He also respects patient’s right to be informed and to make decisions to the procedures and various treatment options. He treats his patients just like his own family and he believes his best patients refer best patients. I met Dr. Biak after Dr. Twichell retired and he took over his practice. I am so happy with him, He is kind, professional and takes the time to do everything right! Thank you so much.